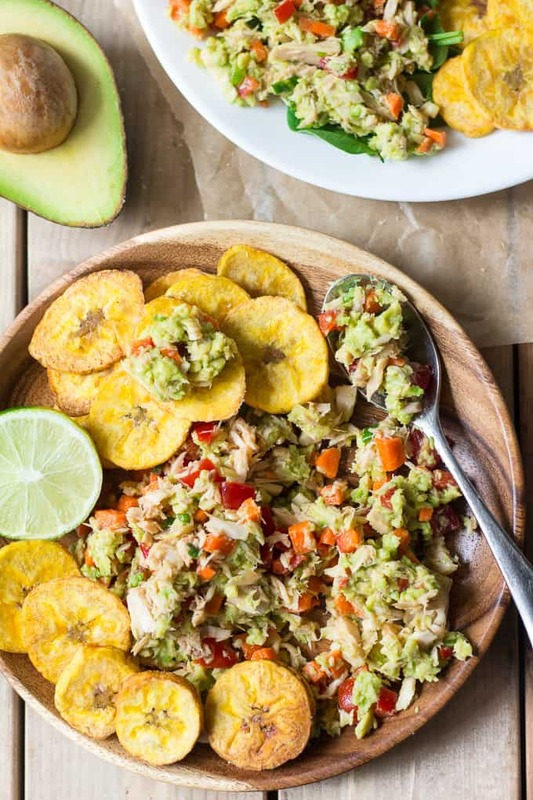 This quick and easy veggie-packed Paleo Avocado Lime Tuna Salad is the perfect healthy lunch to pack for school or work. 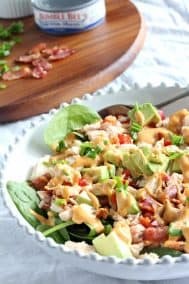 Tons of flavor from creamy avocado and lime, mayo-free, seriously delicious and simple Paleo tuna salad! 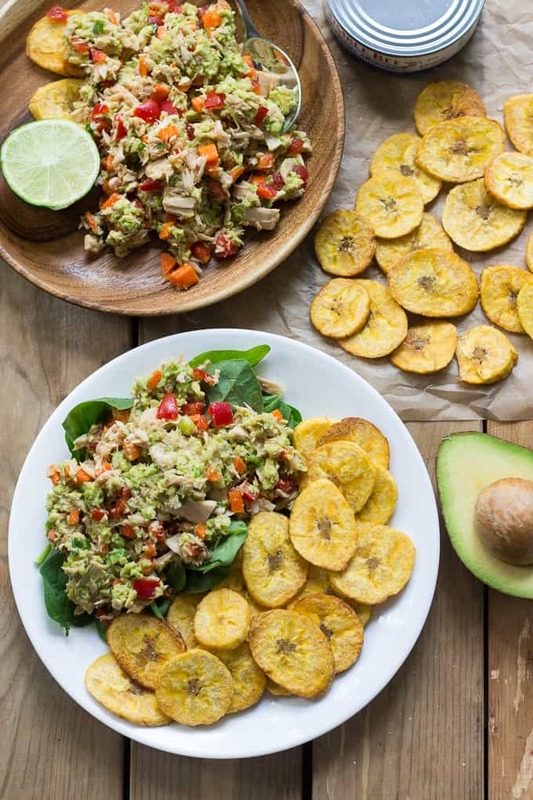 Serve with plantain chips for the ultimate healthy Paleo packed lunch! No, this is not just another excuse to make my plantain chips (or is it?!) Okay, you all know I’m definitely not opposed to finding anything and everything possible that goes really well with plantain chips. 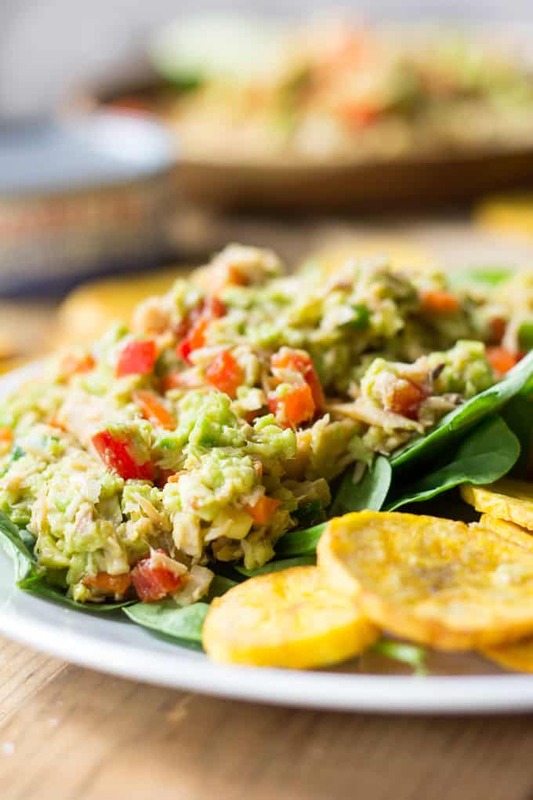 But this simple, veggie and protein packed, Paleo Avocado Lime Tuna Salad is more than that! I promise. So, here’s the news – September is coming! School is coming! Back we go (or I go) to making sure I have 3 healthy lunches packed and ready by 8am each morning. 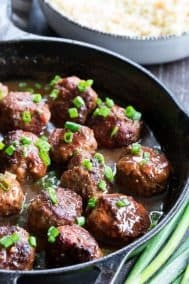 Lunches that actually might get eaten during the day by my children. Without whining. Without begging for school lunch. This is tricky stuff, people! As for the tuna, Bumble Bee Premium Solid White Albacore comes out on top, compared to chunk light tuna. 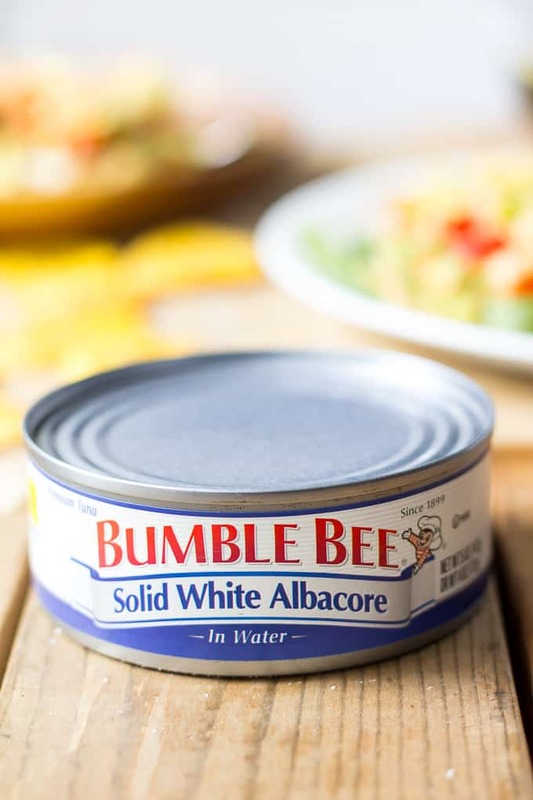 Seeing is believing and Bumble Bee® Solid White Albacore Tuna is quality you can see – the moment you open the can. With a firm texture, light color and fresh taste – Bumble Bee® Solid White Albacore is the perfect ingredient to deliciously enhance almost any recipe, adding a variety of nutrients – including lean protein, healthy fat and important vitamins and minerals. *See their website for full nutritional facts. 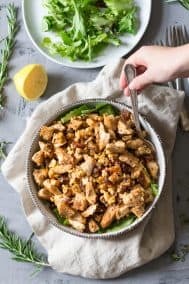 And, yes, even though this is a kid friendly recipe that’s great for back to school lunches or after school snacks, it’s grown-up friendly too! Anytime you need a quick and healthy lunch (and have a ripe avocado around!) this avocado lime tuna salad is a great go-to option. 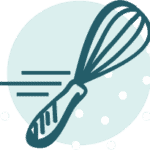 Just chop, mix, and eat! With the plantain chips! Or, with your favorite gluten/grain free crackers, tortillas, lettuce/collard wraps or over a big salad. You can easily make this work for you, no matter what your tastes! 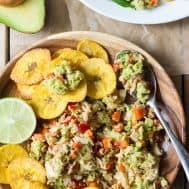 Quick and easy kid friendly Paleo Avocado Lime tuna salad, packed with crunchy veggies, tons of flavor, healthy protein and fats. Great to pack for school lunch or have as an after school snack with plantain chips! In a medium bowl, mix together the tuna, all the diced veggies, mashed avocado, lime juice, sliced scallions and salt until well combined. Serve alone or over a salad, in a wrap, or with grain free crackers or plantain chips. Enjoy! 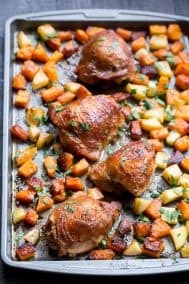 Store any leftovers tightly covered in the refrigerator for up to 2 days. Bumble Bee® offers responsibly wild caught Albacore that is delicious, versatile, high in protein and absolutely perfect as the main ingredient in any meal. 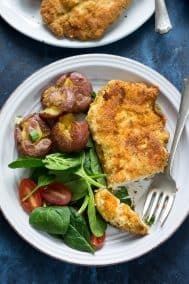 Try one of their many mouth-watering recipes and discover for yourself why Only Bumble Bee Albacore Will Do™. What was your favorite packed-lunch as a kid? many. The struggle is real! Isn’t it awesome? I wasn’t sure I’d like it with all the crunchy veggies but it totally works! And I have 2 sandwich haters as well, struggle is real! 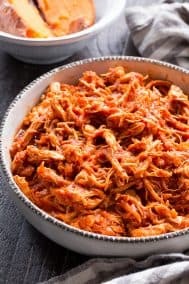 I’ve loved tuna since I was little (it was always a go-to meal on busy nights) but hated bringing it to school because of the smell. I was so embarrassed haha. Now I don’t care as much and just bring a mint. Tuna and avocado is my favorite. 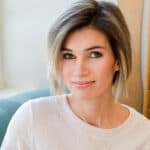 I am not ready to talk about school lunch making ok? lol. I am hoping my son goes easier on me this year. the truth is, the school lunch is actually very good (I know first hand bc I was on the nutrition committee) so maybe I can hope he goes back to buying! I know, the whole thing is traumatizing lol! We get lunches from restaurants at our school and they’re not the greatest, although I’m thinking of signing them up for 2 days just to not make myself crazy! Tuna salad was definitely a favorite. My parents (most often my mother) made my lunch every day. I NEVER ate the school lunch and I really think that is why I have healthy eating habits today. Back when we were kids the school lunch was seriously horrible, yet I ate it every day like it was gourmet! I think healthy food as a kid definitely helps you make healthy choices later on. yum!!! I make a very similar tuna salad!!! such a great lunch/snack! Kind of all the good stuff here, especially that avocado! I used to be an avid tuna eater and then I fell off the wagon. Maybe it’s time for me to take it for a ride again. I often fall off the wagon with tuna but I’m always happy when I get back on! I used to hate tuna, but the more I ate it as I got older, the more thankful I became for it, thank the Lord! 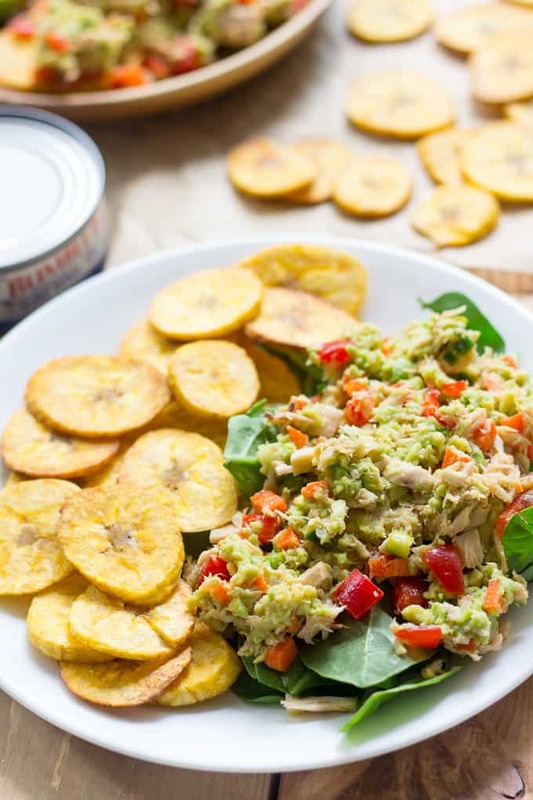 I do love tuna salad or chicken salad with any kinds of chips; plantain chips sound like a really delicious addition to this to dip into the creation! I was the kid at lunch with the egg or tuna salad sandwich. Yes it was a distinct smelling sandwich haha. But hey, in was well fed with healthy fats! This looks epic!! How can I keep this fresh?? How far in advance are you making it? 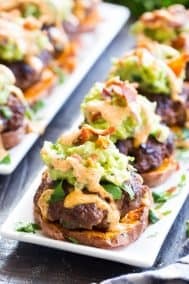 You can always prep the ingredients beforehand and mix everything together except the avocado and lime to make sure the avocado stays green. This tuna salad was perfectly delicious!! Thanks. Great! Thrilled you like it! Pictures shows how delicious this Salad. I will try it this weekend. This was DELICIOUS! I never thought of adding lime to tuna! I always added avocados and lemon juice, and it tasted fine. Nothing earth shattering. This tasted like super healthy ceviche. Awesome! So glad you liked it. I think this was the first time I did lime with tuna too, yum! Thank you for share this post . Your all posts are too much informative for me because of an i am going gym daily. 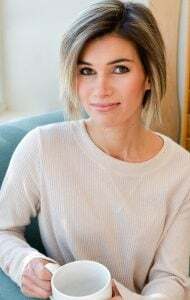 And you writes all of the articles full of protein so i like your blog and i’m a big fan of yours. yum! yum! yum! so excited to start having them for breakfast! Tuna salad was definitely my favorite. My mother made my lunch every day. I never ate the school lunch and I really think that is why I have healthy eating habits today.